hello everyone, the list of games has been updated. if anyone wants to play this game you can take it from the Magic Bot or directly from me in the game. Last edited by ZestyOfXeniphers on Tue Aug 01, 2017 2:05 pm, edited 1 time in total. 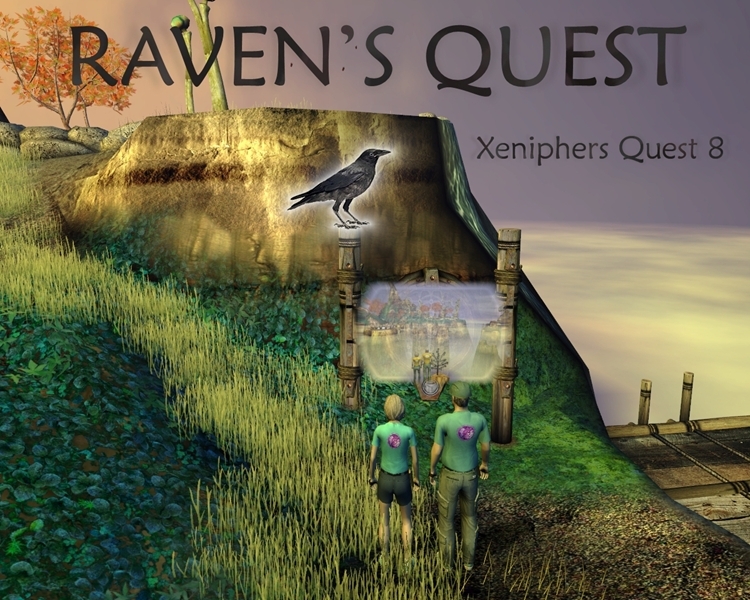 Xeniphers Team (Zesty and Kirk), is in the process of creating the ~RAVEN'S QUEST~, a new marker quest dedicated to our dear friend Wamduskasapa, who passed away in February this year. Last edited by ZestyOfXeniphers on Sat Jan 13, 2018 9:14 am, edited 5 times in total. we certainly love making it and have fun placing the markers. it is exactly what Wam would like us to do - to laugh and be happy ! the RAVEN'S QUEST is ready, Kirk and i went through it twice, once more today and if all goes well, we will release it tomorrow ( to those who pre-ordered it first, of course ). i sent the game to Berric and Acorn and all those who asked on FB forum. enjoy ! Last edited by ZestyOfXeniphers on Thu Aug 17, 2017 10:43 am, edited 1 time in total. Thank you, Zesty and Kirk, I am away from home right now but I look forward to playing it when I get home, and to having warm memories of our friend Wamduskasapa. and thank for you two. Bye and have good time forever! please note, as per the INTRO of the game, every age used contains 1 ITEM MARKER, marked as m1, and 1 or 2 RAVEN MARKERS - clue markers. RAVEN MARKERS have to be searched for and when found, the Raven will give you a clue as where to go next ( remember the Raven is a mischievous creature ). so, as in the same age, those two are usually quite close, but not always (if the age is big). they are also visible, although they might be positioned behind objects, rocks, trees etc. so be observant ! if you get stuck in the game, please do not chase the markers randomly. the game will be spoiled for you and it won't make any sense. Kirk and i are here to help you either with the clues or markers. the game has been spiced with some challenge and some challenging markers. it would be boring otherwise. but overall, it is not a difficult game. i did not use any magic to place the markers. you can reach them all in 'normal' client. our new game ~XENIPHERS' RACE: through Ae'gura and Kirel~ is ready.